We have featured quite a few stands for the iPad here at Geeky Gadgets, here is a new one which may come in handy if you want to use your iPad in your kitchen, the FridgePad. 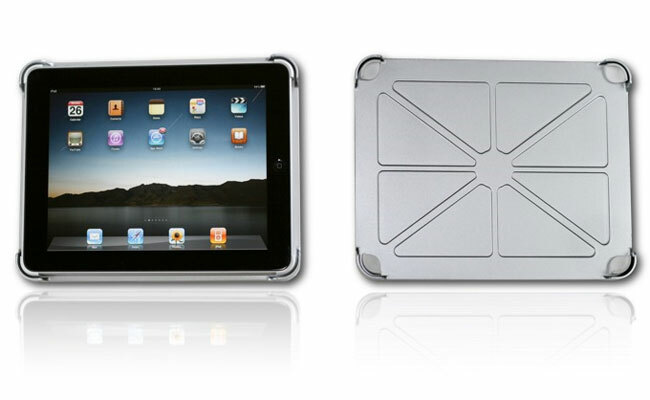 The FridgePad can be mounted on your refrigerator or any metal surface, it features a large magnet on the back, and has four plastic corner clips that hold your iPad in place. It certainly seems like a cool stand for the iPad, and I could think of quite a few places it could be used as well as on your refrigerator. The FridgePad will be avaiable some time in the autumn for around $50.